In my many travels to India, I have learned a basic footwear rule: Never pack anything too nice. Dust and grime cover crowded streets, potholes are frequent, and animal poop — be it from a cow, goat or even an elephant — must be avoided. When you enter most residences, it’s customary to remove your shoes. So a washable pair that are easy to take on and off is your best bet. On a recent visit, though, I faced another conundrum. Though I usually go to see family in South India, where the climate is tropical and lends best to flip-flops or sandals, on this trip I was also headed north to colder temps. 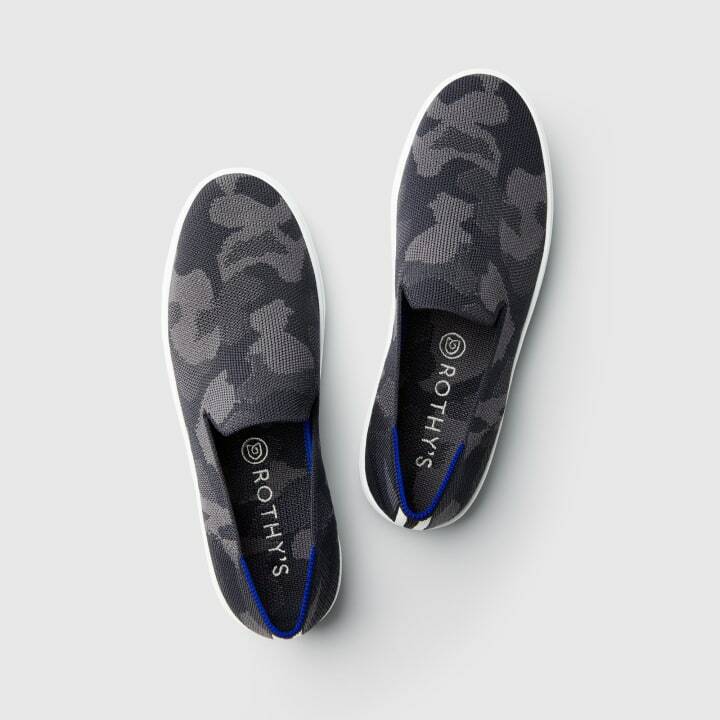 Enter, my latest go-to slip-on sneaker: Rothy's. What makes Rothy's shoes special? A story in Wired explains that Rothy's sneakers are made “primarily from a proprietary material made from plastic water bottles that get broken into chips, pulverized into beads and finally converted into a yarn.” The yarn goes through a 3-D knitting machine, which forms a tight knit structure. The shoes have no Lycra, elastic or laces. Living in Washington, where it rains most of the year, I quickly became a Rothy's fan. Though they aren't waterproof, they hold up in our Seattle mist. After wearing both the point (in a gray zebra pattern) and the loafer (in leopard print), I got a pair of the sneakers and was immediately impressed by the shoe's comfort and sturdiness. 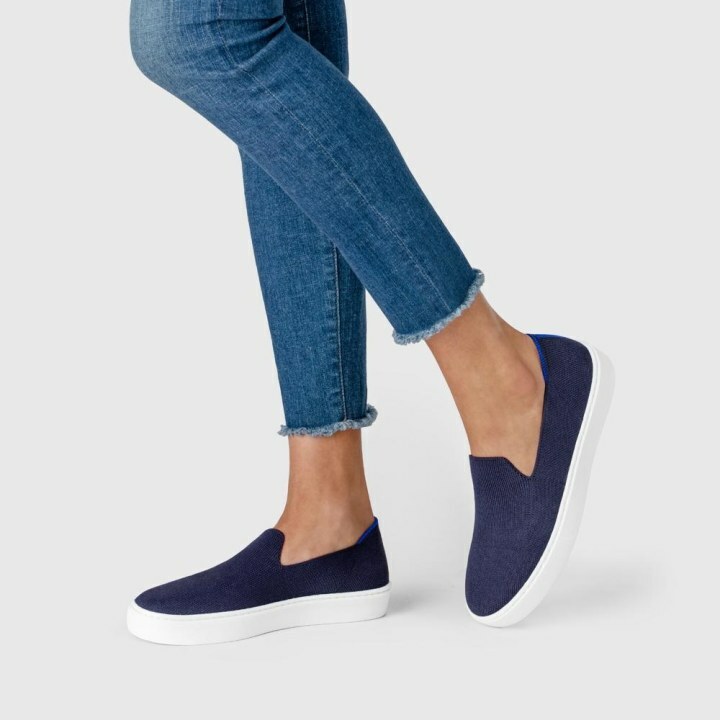 The design is clean — mine are navy with a white sole — but I love how Rothy's always have a flair of detail, such as a royal blue and white heel stripe. There’s no break-in period for Rothy's — I’ve worn them for hours at a time with no socks and get no blisters. And the best part is that when they get dirty (or stinky), you can remove the insoles and throw them and the shoes in the washing machine. Air-dry them and they hold their shape and come out clean every time. I'd argue this "return to pristine" quality justifies the $125 price tag. My Rothy's shoes stayed in my suitcase until I reached the midpoint of my recent 10-day India adventure. I pulled them out when I got to Jaipur, in the northern state of Rajasthan, and they were my shoe of choice for the remainder of the trip. Known as the “Pink City,” because of the pink color of the architecture, the majestic city of Jaipur is dotted with stunning palaces and monuments. In one day, we visited Hawa Mahal, City Palace and Jantar Mantar, an observatory built in the 17th century. The temperature peaked at 72 degrees in the day and cooled to the high 40s at night. And as my only pair of closed-toe shoes, my Rothy's stood up to all the walking we did. They also complemented my travel wardrobe surprisingly well. For one outfit, I paired a chambray shirt with linen pants and a navy and purple silk scarf. For another, I paired jeans with an Indian-style tunic, topped with a navy cashmere shawl. For dinner one evening, I wore a paisley maxi skirt with a white blouse and jean jacket. The Rothy's sneakers went with everything. As we were leaving the incredible Amer Fort, a 16th-century palace made of red sandstone and white marble, a woman working there smiled at me. That’s when I noticed her choice of footwear: They weren’t Rothy's, but they were navy sneakers that looked similar. I loved how she had paired them with her traditional Rajasthani sari, shawl and silver anklets! From Jaipur we traveled by car to Agra, in the state of Uttar Pradesh. On the way, we stopped at Fatehpur Sikri, built in the 16th century by the famed Mughal Emperor Akbar. Because there’s a mosque on the grounds, you have to take your shoes off before you enter. With hundreds of tourists visiting, there are piles of shoes everywhere. We paid some kids 20 rupees to watch ours. Money well spent, as my Rothy's were there when we returned. The highlight of our trip was to see the Taj Mahal, a wonder of the world, in Agra. Though it was chilly and foggy, we got to the entrance first thing in the morning. We kept thinking the fog would burn off and waited for several hours. Sadly, it never did. Though we could see the intricate marble inlay and the incredible domed architecture up close, we were unable to see the iconic image from a distance. I took a picture, seated on the famous bench where Princess Diana was once photographed. I tried to pose like she did and, while you can’t see the Taj Mahal behind me, you can see my navy Rothy's sneakers on my feet. Oh, well. Guess I will have to return some day for the money shot. What can you do to save the planet? Take our quiz to find your One Green Thing! Here are the Rothy's I currently have, and a few that I hope to add to my collection soon. Navy is a staple of my wardrobe, so it was a natural color to pick for my first pair of Rothy's sneakers. I like to pair these flats with monochromatic outfits — they add just the right dash of color. And pointed shoes are always chic. Leopard print is the new neutral, and these go with just about any color. I love pairing them with jeans and a cozy sweater. Hoping to add these as my next sneaker, because look how fun the camo pattern is! 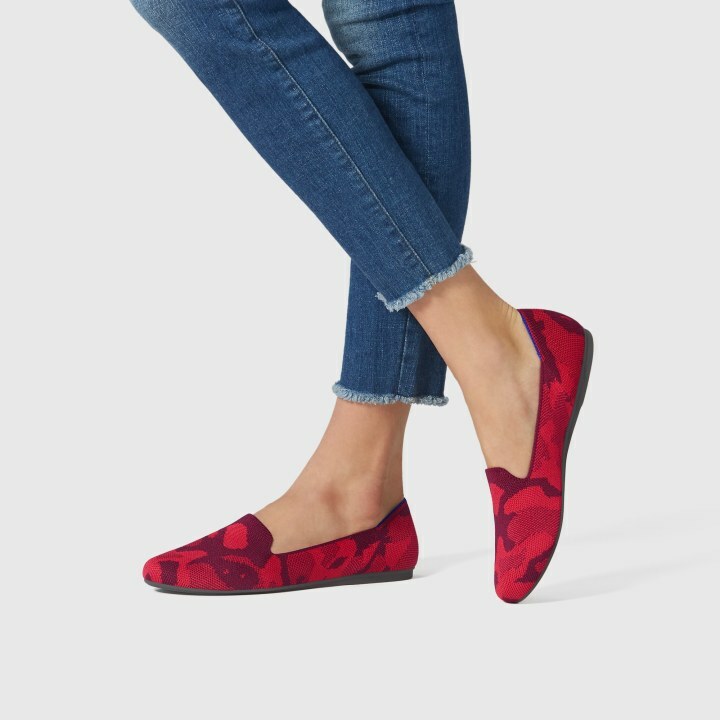 I don't own any red shoes (yet), but I covet these as they would be the ultimate pop of color to any outfit. Kavita Varma-White is a Senior Editor for TODAY.com/TODAY Parents/TODAY Parenting Team. After a career in newspapers, including the (Fort Lauderdale, FL) Sun-Sentinel and the (Wilmington, DE) News Journal, she became a digital editor for Red Tricycle and MSNBC.com. She is the parent of two teens and resides in Bellevue, WA.